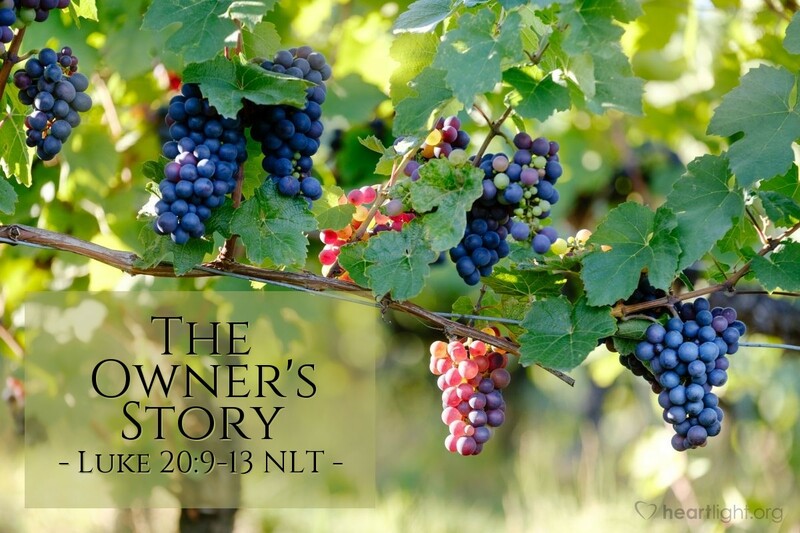 Then Jesus told the people this story: "A man planted a vineyard. The man leased the land to some farmers. Then he went away for a long time. Later, it was time for the grapes to be picked. So the man sent a servant to those farmers so that they would give him his share of the grapes. But the farmers beat the servant and sent him away with nothing. So the man sent another servant. The farmers beat this servant too. They showed no respect for him. The farmers sent the servant away with nothing. So the man sent a third servant to the farmers. The farmers hurt this servant badly and threw him out. The owner of the vineyard said, 'What will I do now? I will send my son. I love my son very much. Maybe the farmers will respect my son!'" This parable is very autobiographical for Jesus. He is clearly referring to what God has done. Religious leaders had taken over the running of God's people. However, they wanted to run it their own way and resisted God's desires and true representatives to the point of abusing and killing them. So God would send someone who is more than just an owner's representative; he would send his cherished son! Jesus is that cherished Son! What unfolds in the events that follow happened to God's beloved Son! It doesn't just matter historically; it also matters significantly in the life and heart of God. In other words, God loves enough to send his cherished Son to save us! Father, thank you for your indescribable gift. In Jesus' name. Amen.